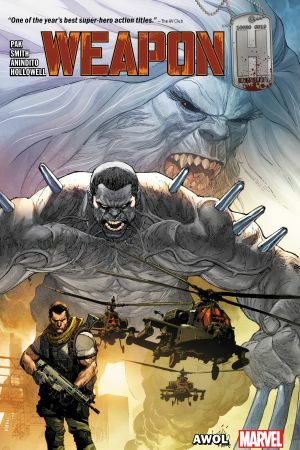 Collects Weapon H #1-6. The Weapon X Program has done it again! The villainous program’s biggest and most dangerous experiment yet has broken free. 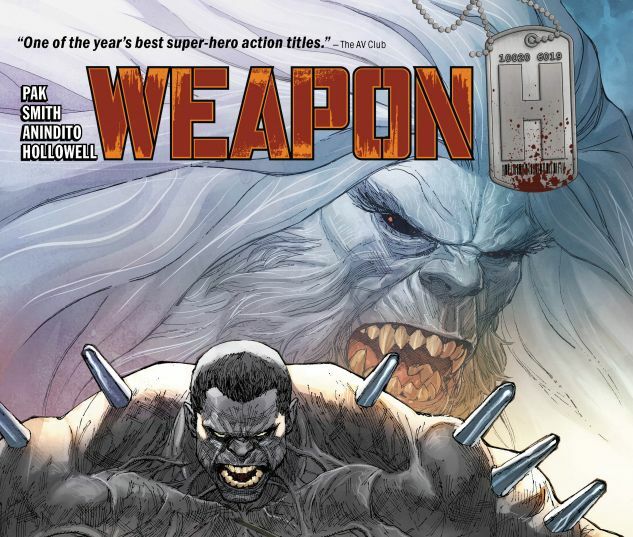 With the strength of the Hulk and the rage and claws of Wolverine comes Weapon H! Now on the run, Clay only wants peace and solitude…but when a new kind of Wendigo threatens lives, will the newly minted Weapon H shirk his responsibility — or does some of his humanity remain buried deep within? Meanwhile, Roxxon has taken an interest in the newest superhuman on the block — but who will they send after him? Would you believe…the Brood?! 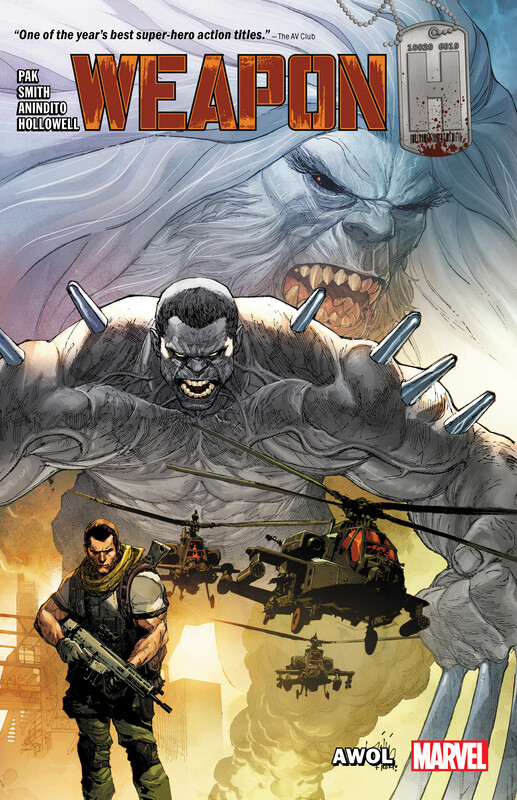 Plus, Weapon H faces down the macabre Man-Thing! Clay’s wife is on his trail, and so is…Captain America! Cap’s mighty shield has never faced anything like the gamma-fueled claws of a Hulkverine!